Toni Buzzeo has quickly established herself as a popular picture book author. 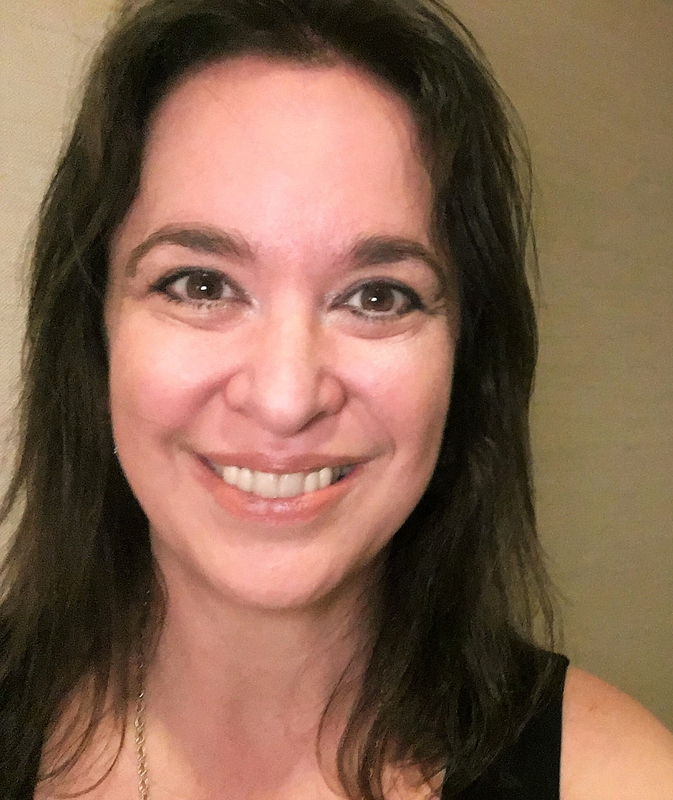 We previously talked to her after the publication of her debut title, The Sea Chest, illustrated by Mary GrandPre (Dial, 2002)(author interview), which went on to win a 2002 Lupine Honor Award and the 2004-2005 Children's Crown Gallery Award. We spoke again after the publication of Dawdle Duckling, illustrated by Margaret Spengler (Dial, 2003)(author interview), which was named to the New Jersey State Library Pick of the Decade List. And we checked in for an author update last April. Today, we have part two of a discussion drawn from Toni's expertise about author/illustrator school visits. Don't miss part one from yesterday! How can schools and author/illustrator speakers connect with one another? From the perspective of schools looking for an author/illustrator, the search can seem daunting. As is the case in so many areas of life, personal recommendations are the best and easiest way for a school to locate the ideal visitor. Some states, or regions of states, maintain a database of recommended authors and illustrators. If schools in a district or region aren't hosting author visits, teachers and librarians can go beyond the local network. At least weekly, someone posts a query or a recommendation to LM_NET, a listserv of more than 17,000 school library media specialists. A librarian might search the archives or post a fresh query of her own. Another option is to visit authors' personal websites, which often include descriptions of school visits and fees. In order to browse, one can search a database of authors and illustrators with hot links to their personal sites such as the Society of Children's Book Writers and Illustrators list, Kay E. Vandergrift's Author and Illustrator Pages, or my own Authors Who Visit Schools page. Finally, schools can contact publishers to ask about book creators available for visits. The Children's Book Council maintains a list of their author websites as well. Authors and illustrators, on the other hand, can make sure that they are listed on all of the above sites. In addition, when one has a great visit at a school, it's wise to ask to be recommended to the educator's colleagues in other schools. Authors and illustrators should also discuss excellent school visits among themselves and share names and contact information for schools that hire visiting book people and do a fine job of ensuring a valuable experience for their students. What should a librarian consider in selecting an author/illustrator to invite? There are two important initial considerations. The first consideration should be the match between the author/illustrator's work and the age of the students as all students will read/hear the author's work in preparation for the visit. The second consideration should be the match between the content of the author's book or his/her presentations and the curriculum of the school or specific grade level or group of students. Once these two considerations have narrowed the field, information from authors' websites or school visit packets and recommendations from other librarians will provide the necessary information about whether a visitor under consideration will be a good match for the size of group, the type of workshop or presentation, and the cost. How can author-illustrator speakers promote themselves to librarians at prospective schools? Unfortunately, there's not one simple answer to this question. First, of course, speakers should be listed in as many databases or listings of visiting authors/illustrators as possible. Second, they should prepare a speaking brochure to hand out to audiences when they speak or appear at teacher/librarian conferences. Third, some authors/illustrators prepare a school visit packet that can be mailed out in response to any serious expressions of interest. Fourth, authors/illustrators may share contact information with each other when a school visit has been particularly successful and recommend each other to their hosts, as well. Some authors/illustrators do mass brochure mailings to schools in a geographic area. It's important to weigh the time and cost against the returns, but for those with a desire to beef up bookings in a specific geographic area, this can be a useful enterprise. When possible, mailings should be addressed to the library media specialist by name. He or she is the "information resource" in the building and if he/she is not the person who hires visiting authors, he/she will pass the information along to the right person. Are there speaking opportunities for YA authors, or is the field largely limited to those who write for younger readers? If the field is limited, what can make a YA author more attractive amidst the competition? Certainly more authors and illustrators are hired for elementary schools than for middle and high schools, but that doesn't mean that there aren't opportunities to speak to teen audiences. There are two ways that are especially useful for YA authors to boost their profile with prospective hosts. First, it is enormously helpful to speak at state library and teaching conferences (and national conferences such as the American Association of School Librarians conference, the International Reading Association conference, and the National Council of Teachers of English conference, when possible). Prospective hosts will hear an author speak at these conferences, have an opportunity to meet them personally and carry home their brochures, and will be more likely to invite them to speak at their schools. As a side benefit, the author's books are more likely to be nominated for the state children's choice reading lists. This, in turn, will lead to more invitations. In fact, where an author's book is nominated for the state reading list, it is especially helpful to send out a mailing to the librarians in that state seeking speaking opportunities. Could you tell us about your experiences as a visiting author? I love to be a visiting author! I have met the most talented teachers and so many wonderful kids. I have had the joy of seeing my books come to life through student art, song, research, and learning. I've watched performances of my books turned into plays, read poems inspired by my books, learned about determining the volume of a lighthouse tower using math, and had countless conversations with students who wonder why I became a writer, what a writer's life is like, or how they can become a writer too. Children have been amazingly generous about sharing their own responses to my work and their dreams for their own futures. I have spent my life as an educator, and I am instantly at home in a school setting and love being there. I am also a "born teacher." There's a part of me that comes alive in front of a group of kids. Most importantly, I genuinely love children and adore the opportunity to meet them, to hear their responses to my work, to teach them what I know, and to learn from them. For me, there is seldom anything I'd wish to change except in the rare instances where the host has failed to get the students and teachers involved and invested in preparations and curriculum connections, and the really wonderful opportunity of an author visit is wasted. In those instances, it might have been better to hire a magician for the day. Could you tell us about the various programs you offer? What is the appeal of each? Using photographs and story, I share my journey from shy child to published author and all stops in between. Students and teachers love this workshop because it makes clear the origins of each of my stories, the truths of my life that reveal themselves in my fiction. In the spirit of historical and natural inquiry--using illustrations, text, and research--I explore the writing and illustrating challenges behind my books The Sea Chest, illustrated by Mary GrandPre (Dial, 2002) and Little Loon and Papa, illustrated by Margaret Spengler (Dial, 2004) and learn the importance of research for both authors and illustrators. Because I share original illustrator sketches as well as finished art, students come away with a better understanding of the illustration process and the role that illustration plays in their own learning from books. This workshop, rich with information and delivered with a strong dose of humor, answers the following questions for middle schoolers: Ever wonder about the practical aspects of being an author? What's an author's life like? How much do we get paid? What about rejection and revision? It always generates plenty of questions and lively discussion among my listeners. The youngest audiences meet the characters of my picture books Dawdle Duckling, illustrated by Margaret Spengler (Dial 20003), Ready or Not, Dawdle Duckling, also illustrated by Margaret Spengler (Dial, 2004) and Little Loon and Papa through songs, fingerplays, puppets, and flannel board stories. The little ones--and their teachers--love this presentation and leave singing. Through a series of guided writing exercises and group sharing, students learn how to enhance their own natural writing talents and improve their creative work by using revealing detail. It always amazes me how student writing improves in the space of just a single hour! 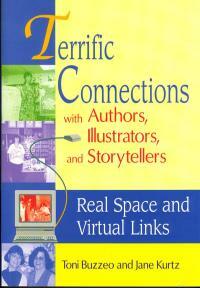 Along with Jane Kurtz, you are the author of Terrific Connections with Authors, Illustrators, and Storytellers: Real Space and Virtual Links (Libraries Unlimited, 1999). What was the initial inspiration for creating this book? After Jane Kurtz came to visit my school as a visiting author and we had the experience of planning and executing a superb author visit, I wrote an article about author visits, "The Finely Tuned Author Visit" in Book Links (March 1998). Somehow, that article grew into the idea for a joint book about how to plan really rewarding author and illustrator visits. We first began to think about writing the book in 1997 and by summer of 1998 we had written and sold our proposal. From there, it took us a year to write the book, including all of the interviews with librarians, teachers, authors, and illustrators who so generously told us about their unique and individual school visit experiences. The book was published in November 1999. This was the first book that Jane and I wrote together, though we later published 35 Best Books for Teaching U.S. Regions (Scholastic, 2002), and continue to discuss other books we might write together. That, in itself, was a learning experience. We had to learn how to mesh not only our writing styles but our planning, organizing, and project execution styles! No small task. If you were going to update Terrific Connections, what new topics would you include? Because a portion of the book is about "virtual" author visits, using electronic communication to connect, we’d want to update the technology options discussed. For instance, I've recently had the experience of using subscription bulletin board software to work with a class of high school students in Texas who were writing their own children's books. Such software wasn't yet available when the book was published. In addition, NCLB has come into effect since 1999 when the book was published. This legislation has changed the landscape of American education and has an influence on how many schools (especially those struggling to make Adequate Yearly Progress) perceive anything beyond the rigors of preparing students for the test. It's essential that author visits be understood and planned as useful contributions to student learning and achievement. One of the amazing strengths of Terrific Connections with Authors, Illustrators, and Storytellers: Real Space and Virtual Links is that it has been useful for both educators (librarians and teachers) and authors and illustrators themselves, in equal numbers. Because of that, author/illustrator visits have been improving from both sides of the fence--all to the benefit of the students! I also have many author/illustrator visit resources on my website, and I hope that readers will stop by to visit and see what's there. Author-Librarian Interview: Toni Buzzeo on School Visits, Part 1 from Cynsations. Children's and Young Adult Book Creators: Sites & Multiple Listings and School Visit Resources from my website. 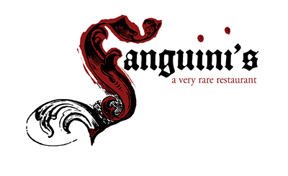 An Author Update Interview with Jane Kurtz from Cynsations. "THE SEA CHEST" Children are thoroughly engaged in this book whether they are reading it on their own or having it read to them. It is superbly illustrated which enhances the book. The Sea Chest is a lovely book. You know, the illustrator is also the American illustrator of Harry Potter. Look for a Toni Buzzeo giveaway, coming soon to Cynsations.